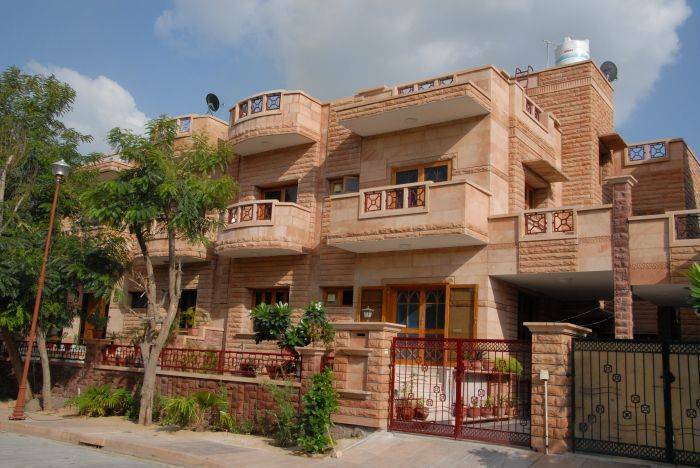 Apnayt Villa gives you a royal feeling of staying as neighbor of Maharaja Jodhpur. 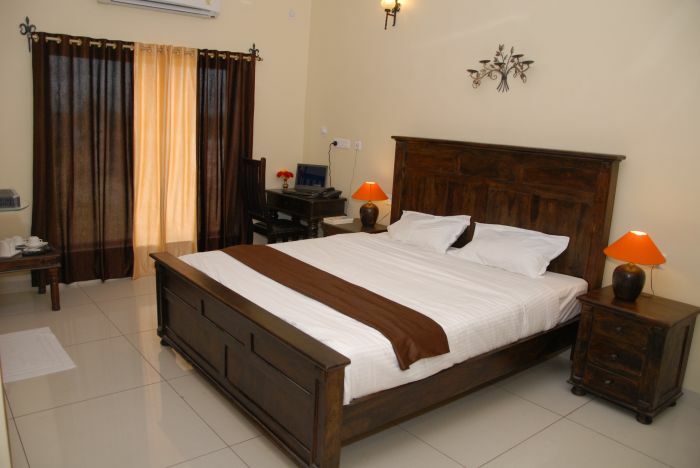 We provide you the luxurious environment with the first class amenities. A perfect way to experience life of a King. Our rooms opens to a balcony with the view of Umaid Bhawan Palace. Wired internet acess keeps you connected to the world and the 32 inch LED Television offers you prime channels for your entertainment. 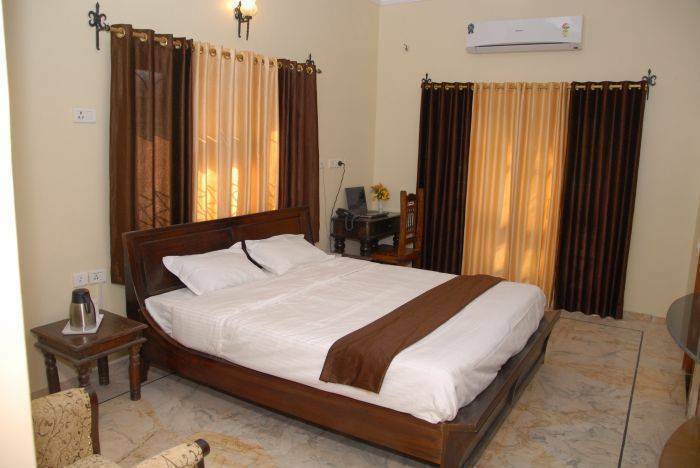 A Safe, Refrigerator , Coffee / Tea maker are part of our room amenities along with the King Size Bed, Two Side Tables, Study Table, Coffee Table and two comfortable chairs for your relaxation. 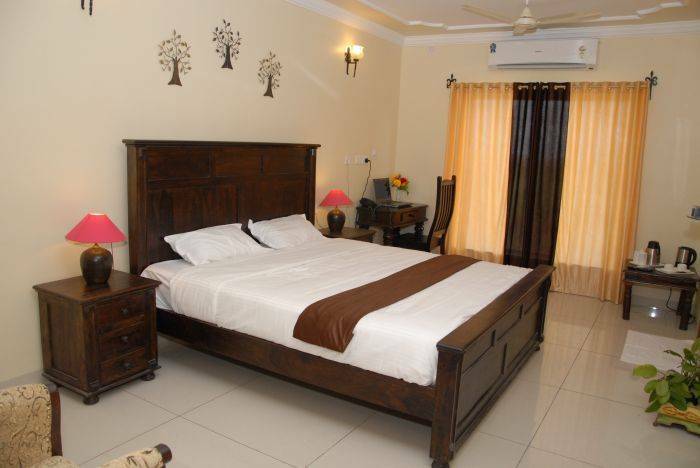 Airport, Railway Station, State & Private Bus Stop are just in 5 Km radius area of our villa. Our Royal Suite has 200 square feet living space, our luxurious suite is fully equipped with one king size bed, two side tables, writing desk and over sized chairs facing the green area of beautiful Sun City. 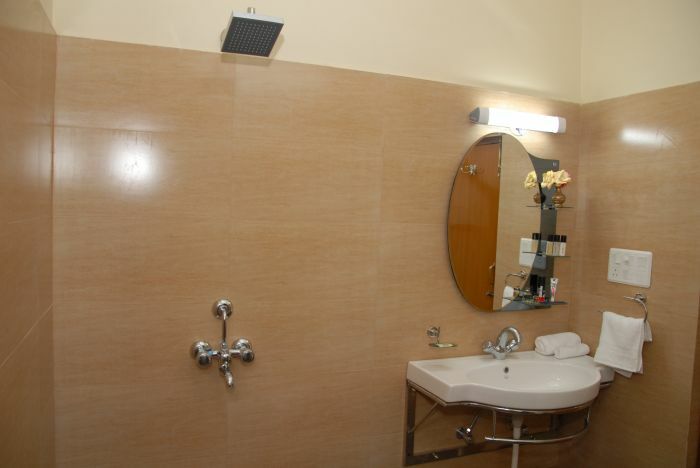 A private luxurious bathroom has a shower and all ultra modern amenities. 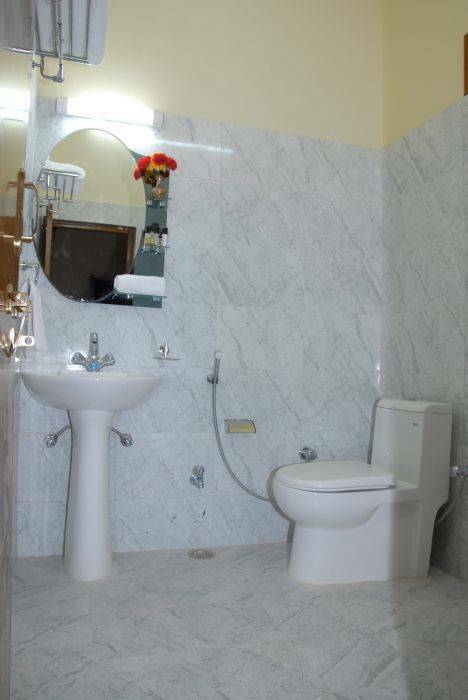 We also provide you complimentary toiletries and an access to a hair dryer. In our Royal Suite we also provide you small kitchen equipped with all the modern electric and electronic gadgets. Along with the essential kitchen utensils. Our Classic Room has 180 s square feet living space, our luxurious suite is fully equipped with one king size bed, two side tables, writing desk and two chairs facing the world famous private royal residence palace name UMAID BHAWAN and a private balcony. We are in the foothill of World Famous Umaid Bhawan Palace. 100 % return if cancel before 15 days. 50 % return if cancel before 7 days. From Jodhpur Airport, 3 Km. Directions: Take the turn right from Officer Mess towards paanchbati cicle. Then take right turn for the Umaid Bhawan Palace Road. As you start the hill of Palace you will find the road barrier of security guard of palace. Take right turn for the APNAYT VILLA. The guest house is just 100 mt from the gate. Security guard will guide you. We provide FREE Airport/ Bust Stand/ Railway Station pick up and drop up.